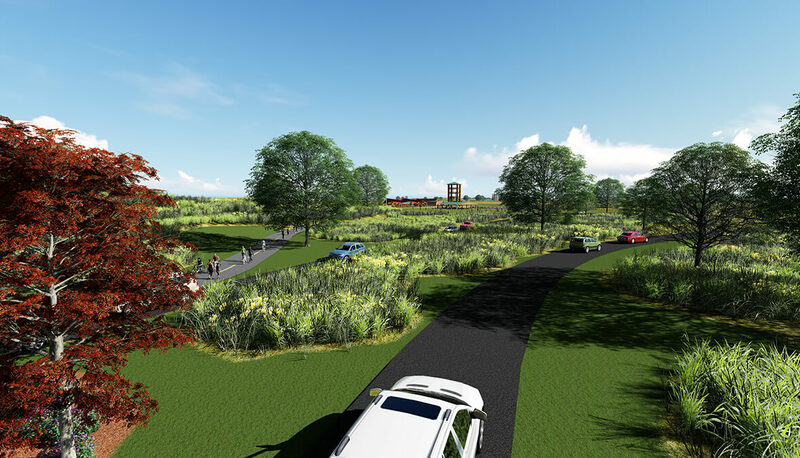 Hitchcock Design Group was retained by Five Rivers MetroParks to conduct an inventory and analysis of Larchtree Reserve and the surrounding community (physical and demographic) with the goal of developing a master plan that will be directly informed by the alternative and preferred strategies developed during the process. 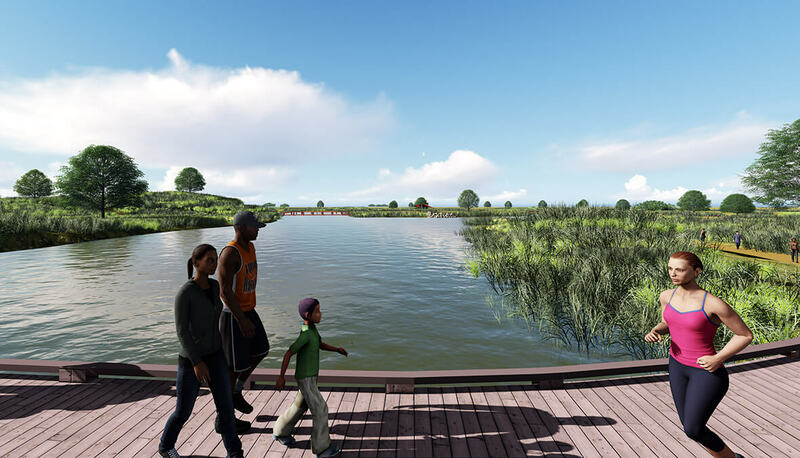 The site is comprised of two separate properties, an existing wetland bank in the southeast and land set aside for bank expansion to the west. An abandoned golf course is located on the northeast corner of the property. As part of the process, the team was asked to engage potential users, staff and adjacent residents through various means to gain a better understanding of their goals for the property. 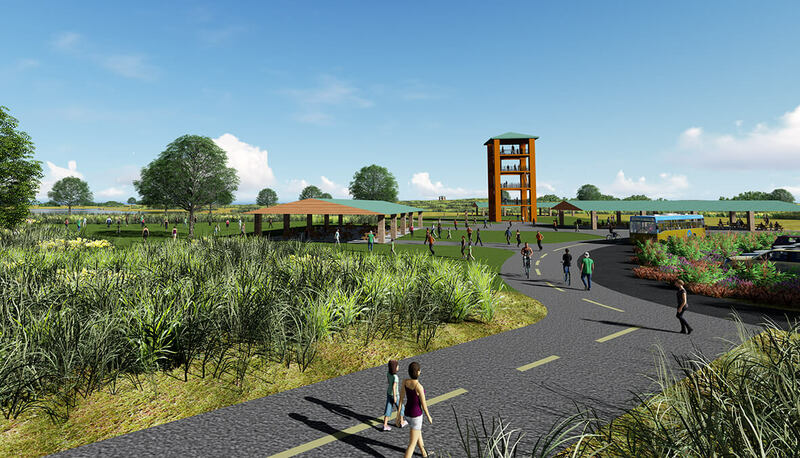 The team was also tasked with creating alternative plans that maintained or re-established natural habitats on a majority of the site with emphasis on community and high school education opportunities. 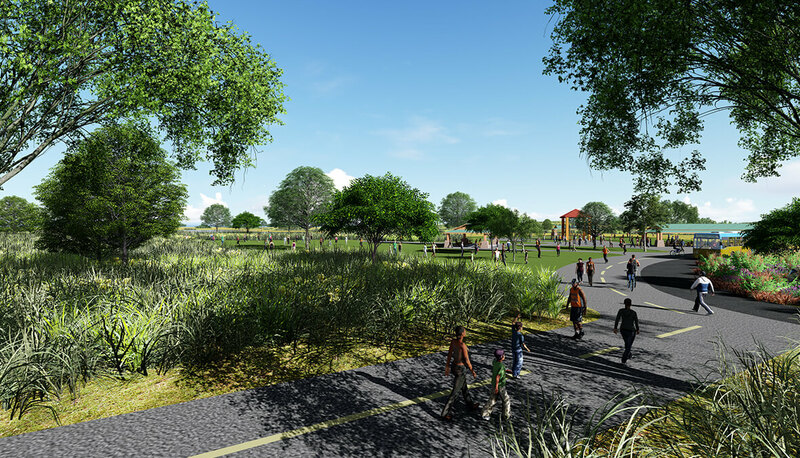 Final concepts include multiple shelters, an amphitheater, an open lawn for free-play, fishing and nature-based play in a blended traditional park and native/restored atmosphere that will be familiar and comfortable to the Trotwood community.